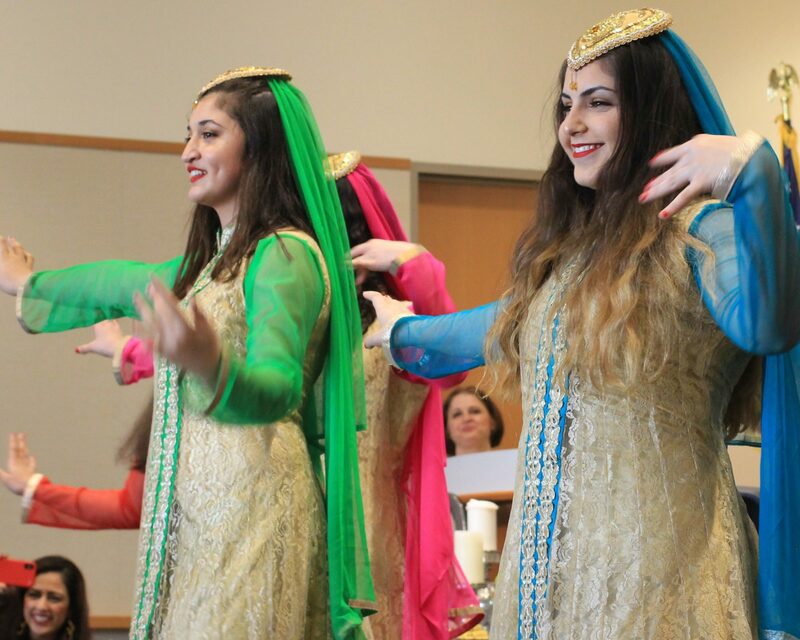 Visitors to the San Mateo Public Library were greeted with a medley of traditional and folkloric Iranian music on March 17 as the library hosted its annual Iranian New Year Celebration only a few days before spring arrives. Also known as “Nowruz” (meaning new day) in Farsi, the celebration signifies the changing of seasons from winter to spring. It’s a time of celebration, disrupting the day-to-day grind and reconnecting with friends and family with lots (and lots) of sweets and food. 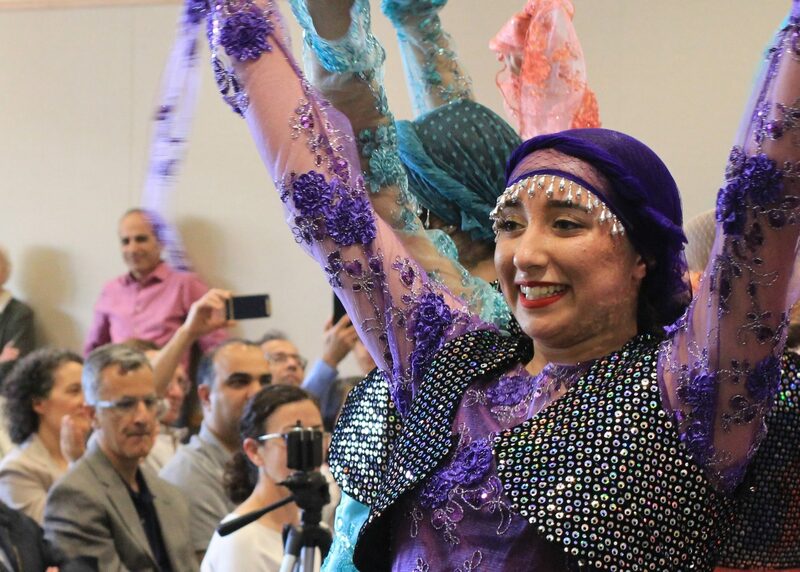 Vibrant colors filled the stage as members of a Bay Area Persian dance group entertained the packed room with several traditional dances and even engaged the audience including San Mateo Mayor Diane Papan. She expressed her fondness for the all-encompassing benefits of libraries, and says that one of the ways that libraries are becoming more modern is to host cultural events providing a space not just for books, but for people to come together. “The Iranian people are very welcoming so it’s wonderful to have a cultural celebration in a public space and we are very rich by having many different cultures in our city and celebrating each one,” Papan said. Michael Laverty attended the event after seeing a flyer in the library. With no exposure or knowledge of the Iranian New Year, he decided to do a bit of research prior to attending the celebration. He particularly enjoyed learning about the “haftseen” or the table setting with seven items that start with the letter “S” in the Farsi alphabet. Laverty, who is currently visiting the Bay Area from Baltimore, says he is really enjoying the diversity all around him. “Yesterday we were celebrating St. Patrick’s Day with the parade. Today we are celebrating the Iranian New Year and what’s next! It’s a great way to learn how other cultures enhance your own understanding of other people and I think it’s a good time in the United States to do a little more so with all that’s going on, so I’m looking forward to everything here,” Laverty said. The library has four major cultural programs representing African-American, Latino, Asian and Iranian-American communities. Donya Sultani, literacy program coordinator at San Mateo Public Library plays a pivotal role in enhancing the libraries Farsi literary content as well as organizing events such as the Nowruz celebration. With about 150-180 people filling the meeting room where the performance were taking place, many Iranian and non-Iranian parents attended the event with their children hoping to expose them to a different culture. Samira Salour a San Jose resident, who has been attending the library’s Nowruz event for three years, brought her daughter along for the celebration. 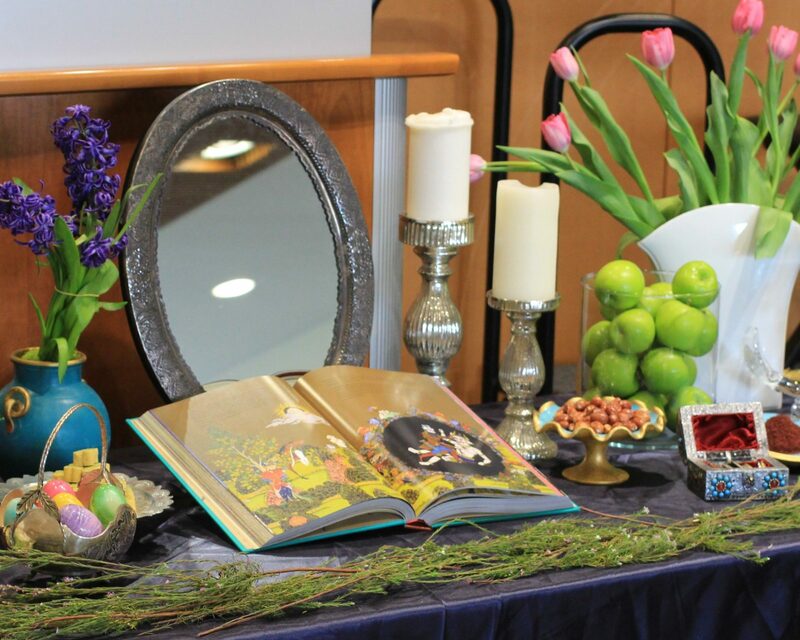 It’s meaningful events like the Nowruz celebration that help build bridges and fill knowledge gaps ultimately bringing communities together with empathy and cultural understanding. Spring will officially ring in at 2:58 p.m. March 20.